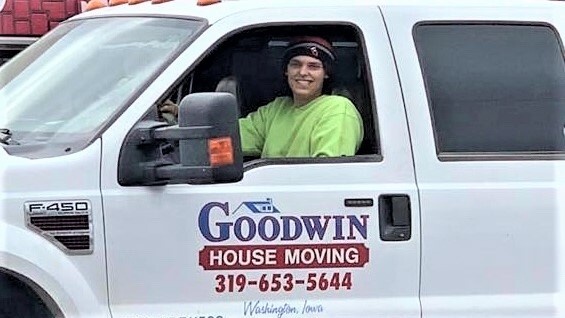 Goodwin House Moving has been in the moving business since 1936. We have moved brick and wood frame houses, modular homes, historic buildings, churches, portable classrooms, barns, pole buildings, large garages, an all glass greenhouse, airport hangars, an airport terminal building and over-sized machinery and equipment. You can see some of our past projects by viewing the slide show below or clicking here. Did you ever wish you had more living space? Is your house sitting on a slab, crawlspace, or old crumbling foundation? Is your house or cabin in a flood plain? We can help. We can raise your house and remove the old foundation or add a new basement. You can add a level to your house and turn it into a split-level, two story or a walk-out. Don't demolition your old home or building - recycle it instead. Click here to learn more. Contact us today to find out how we can help you with your moving needs.